Best Action games are calculated by game ratings and members "Top Action Games" list. List updated daily. Synopsis: James Sunderland receives a letter from his wife, Mary, asking him to meet her in their "special place" in Silent Hill. James goes off to find her, even though she has been dead for some time. Entering the fog-shrouded town he encounters Maria, who looks like Mary but is much more provocative, along with the morose Angela Orosco and the jolly giant with a dark secret Eddie Dombrowski. 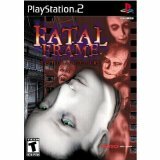 All have been drawn to Silent Hill to face their pasts - will James be able to survive his? Synopsis: After a plane crash, a survivor finds himself in the crumbling underwater city of Rapture in an alternate version of 1960. As her explores the could-have-been utopia, he discovers mutants overcome by addiction and defense systems. He also unlocks the power of plasmids, which alter the body and release abilities such as pyrokenesis, telekenisis and mind control - powers that have devastated the population of Rapture. He soon learns coming here was no accident and the mysterious Little Sisters hold the key - will he release them or use them for his own means? Would you kindly join him? Synopsis: A game limited only by your imagination as you take control of an avatar to create and destroy various blocks in a 3D environment. Whether you create structures or works of amazing artistic design is up to you as you share your creations across multiplayer servers across many game modes. 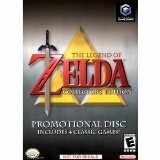 Synopsis: This compilation disc includes the original "The Legend of Zelda," "Zelda II: The Adventure of Link," "Ocarina of Time," and "Majora's Mask" on a single GameCube disc. Also included are promotional materials concerning "Wind Waker" and a "Timeline of Zelda" retrospective featurette.